StoryCorps: A Mother And Son Talk About School Shootings Recent school shootings are prompting many difficult conversations for families. 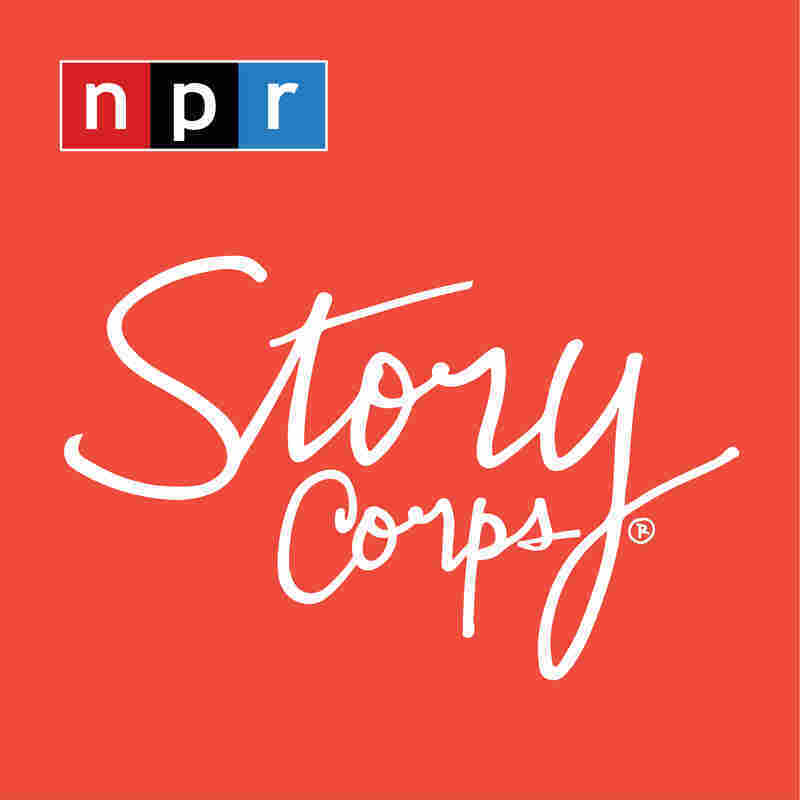 In a StoryCorps interview, a fifth-grader and his mom discuss active shooter drills. At their StoryCorps interview in Houston, Tanai Benard, 34, and her son, Dezmond Floyd, 10, discuss what's become a grim yet routine topic at schools: active shooter drills. As families around the country search for answers in the wake of school shootings in Parkland, Fla. and elsewhere, parents and children are having conversations that would've been almost unfathomable a generation ago. Dezmond Floyd is a 10-year-old student in Houston. 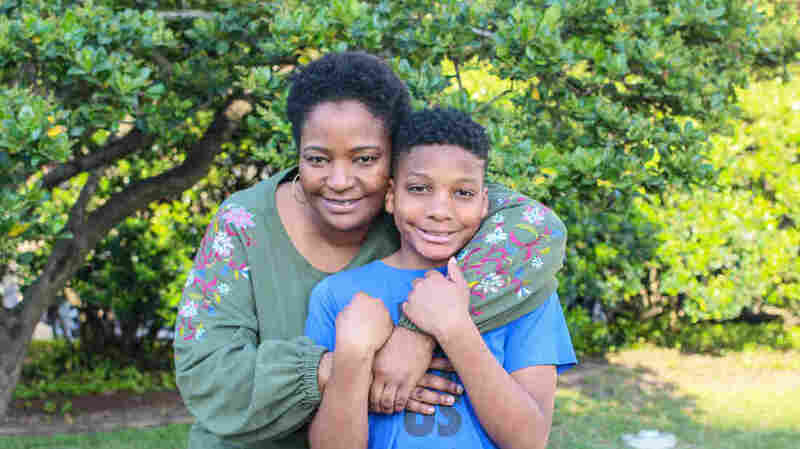 At StoryCorps, he and his mother, Tanai Benard, 34, talk about the active shooter drills in his fifth-grade classroom. "What emergency drills did you have as you were growing up in school?" he asks. Tanai says she only participated in fire and tornado drills. She now teaches a technology and engineering course for 7th and 8th graders. She says so far this year, her school hasn't conducted any active shooter drills. "Can you tell me exactly what happens?" Tanai asks her son. "The teacher is supposed to lock the door, turn the lights off and push this big desk behind the door," Dezmond says. "And the first time I did an active shooter drill I saw her having a hard time with it, so I decided to come help her. Because if she doesn't get the desk on the door in time, the intruder can open it." "So what do you do next after you push the table?" Tanai asks. "The class is supposed to stand on the back wall. But I decided to stand in front of the class, because I want to take the bullet and save my friends," Dezmond says. "Does your teacher ask you to stand in front of the class?" the mother asks. "No," Dezmond says. "My life matters but, it's kind of like, there's one person that can come home to the family, or there can be 22 people that come home to a family." Dezmond's choice doesn't sit well with his mom. "Do you know why it's hard for me to accept that?" she asks him. "Because I'm such a young age, I shouldn't really be giving my life up — like, you shouldn't have to worry about that," he says. "Right," Tanai says. "If there's any a time that I want you to be selfish, it's then. I need you to come home." Tanai presses further: "So would you still stand in front of your friends, even with me telling you not to?" "I get that you would want me to come home," Dezmond continues, "but it's really not a choice that you can make. It's a choice that I have to make." "I see now that there's nothing I could say that would change your mind," Tanai says. "I just hope that it never comes to that." "Talking about this makes me feel sad, but you raised a good person," Dezmond says. "And this is why I can't have the conversation with you," Tanai says. "You keep saying things like that and I'm speechless. You're 10. And you're that 10-year-old who doesn't clean their room, and there is no handbook for this." Tanai says that's why this conversation — one they've had before — always ends in silence. "Because I'm a mother, and I don't know what to say." Audio produced for Morning Edition by Jud Esty-Kendall and Jasmyn Belcher-Morris.